It’s a big year for sports, with 12 new events debuting at the Sochi Olympics, and the FIFA World Cup, Six Nations and the Commonwealth Games as some of the most highly anticipated events this 2014. With all this buzz surrounding it, sports arenas and facilities are upping their games in preparation. And digital signage is playing quite a big role in these upgrades in establishments. 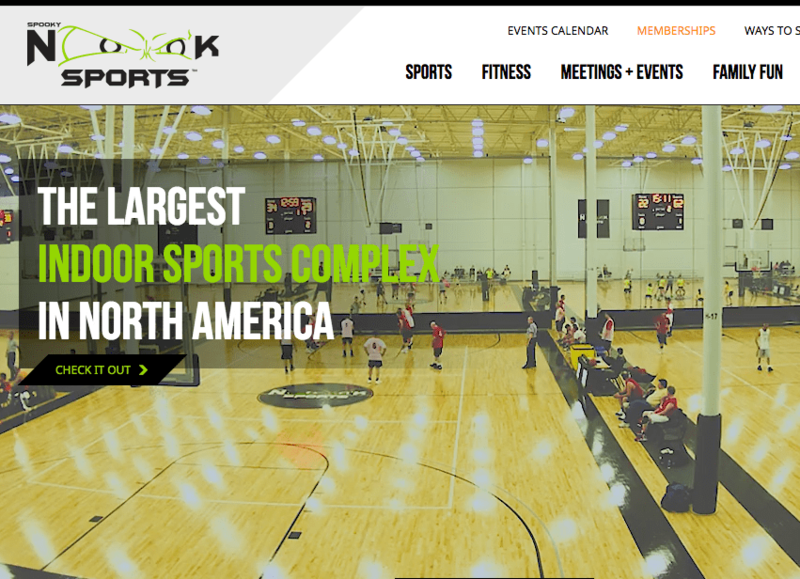 Spooky Nook, the biggest indoor sports complex in the United States, is now boasting of upgraded technology featuring powerful digital signage all throughout their massive 700,000 square meter facility. They are soon to be home to field hockey and the US Women’s National Team, aside from numerous other sports they cater to. The grounds are so massive that with its courts, other sports areas, medical facilities, retail stores, food court, arcade and convention spaces, different kinds of dynamic information need to be relayed efficiently everywhere. Spooky Nook practically required every sort of implementation for digital signage within its halls: digital menu boards, wayfinders, vertical-oriented screen displays, video walls , information boards and many more. NFL’s Jacksonville Jaguars club is now boasting of brand-new huge LED score boards in their EverBank field. What’s described as the largest HD LED video displays in the world, two of the field’s end zone displays measure 60 feet high by 362 feet wide featuring a 13HD pixel layout. Part of the plan was to also have a three side-by-side HD video images for multiple replay shots and other video content. These would still be capable of showing one large image to highlight live video and instant replays, scoring information and sponsor advertisements. Europe’s most-watched sport–Football–is made more exciting to the viewing public with impressive digital signage like an 18-display video wall, the newest digital billboards and LCD displays, and 100-in screens with ultrashort-throw projector with full HD screens operating in some of the best sports bars around. This is good news for advertisers who can now utilize onscreen messaging more creatively to a huge public. Sports fans will be happy to know that viewing experiences will be greatly enhanced with these newest innovations in digital signage. Games have truly changed–new environments are made special for enthusiasts, elevating sports and viewership to levels much further from the experience of just simply watching at home.